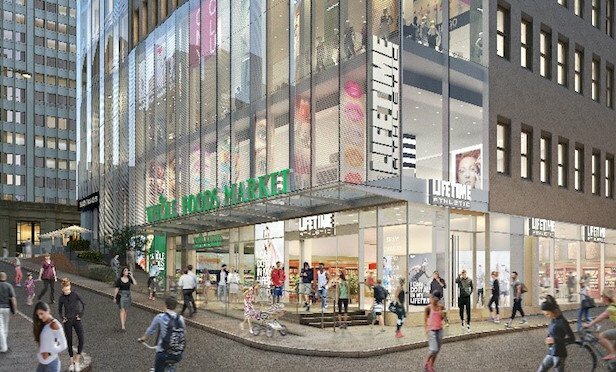 The developer says the Life Time club at One Wall Street will be the most extensive health and wellness center in New York City. NEW YORK CITY—A Life Time Athletic Lifestyle Resort is moving to Lower Manhattan, setting up a 74,000 square-foot, member-based club at One Wall Street. Macklowe Properties is the building owner and Life Time will manage its space. The health center will offer studios for group exercises, cycling, yoga, pilates and personal training, dressing rooms with whirlpools, saunas and steam rooms, a spa and café. A children’s program will include weekly classes for karate, tumbling, sports skills, yoga, music and Spanish.